Four in 5 Australians would consider switching their super or other investments to another provider if their current fund engaged in activities inconsistent with their values, says 2017 research from Responsible Investment Association Australasia (RIAA). It’s this environment of rising investor consciousness that spawned Goodments. 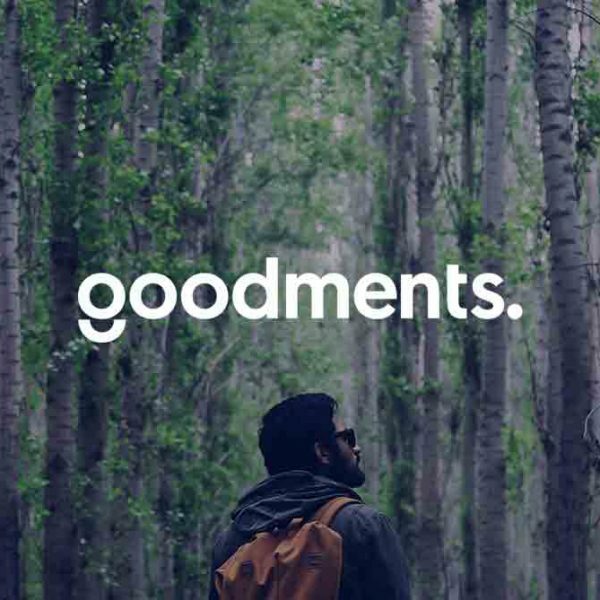 Goodments is an investment app that matches investors to shares based on their environmental, social and ethical values, a choice that is fundamental to millennials, with 93% of them seeing social and ethical issues as critical to their investment decisions. Fresh from launching the company’s first ever product, Goodments’ CEO and co-founder Tom Culver spoke to The Dubs about what lies ahead. Who are these “conscious” people? "The key age demographics break down into two sections. First it’s the millennial generation coming through, right up to the bottom of the Gen Xs, i.e., 25 to 38-year-olds. Then with 55 plus, we see a massive uptick in our engagement. "We completely miss out the middle tier up to age 55 – we have almost no engagement with that group. We think it’s probably because they’re in that stage of just trying to manage their life. They’re paying school fees, trying to pay off their mortgage, and trying to get promoted at work... so it’s probably not really at the front of their consciousness." How is the rise of conscious investing changing the financial landscape generally? "There are lots of ethical and sustainable products being launched, almost daily. The banks are launching sustainable products, the investment houses, the superannuation providers… and if I’m being cynical, I think that’s a response to try and to catch up to the market. It’s a product rather than a belief. "But what that will hopefully lead to, is that rather than just limiting impact through things like not funding coal mines and Adani, it’s going to have a positive impact on the community and society and environment – by investing in strong, diverse employers, promoting genders, class and backgrounds, moving into more positive types of policy outcomes. "I have huge ambitions for how much it will change the financial landscape." There are already ethical investment managers and super funds out there – what motivated you to start up Goodments? What was missing? "What we saw was missing, from our customers and the research we did, was this idea of positivity and personalisation. "Particularly for the younger generation, people don’t want to be told what sustainable is. They want to say: this is how I view sustainability, particularly in the context of them making an investment. That layer of personalisation then flows through to how people make their investment decisions and choices. Frankly, the existing solutions in the market don’t tick the boxes for a lot of the new people coming into the market. "And then there’s this other piece where it’s all just filled with jargon. They’re equating “return on equity” with “ESG”. People don’t know what either of those mean. People don’t know what an ETF is. Traditional financial institutions, they’re still approaching it in a way they’ve been trained to approach it possibly by the regulator or through risk aversion; they’ll talk about things like risk tolerance and investment horizon, and balanced portfolios – it’s meaningless to 90% of the population." What we saw was missing, was this idea of positivity and personalisation. How do you talk to your target audience? Is more education needed to increase this segment? "We talk to customers primarily through social; we are social media-driven and it’s an evolving story; we haven’t nailed it yet but we are getting there. "With education, we actually work with a number of other Sydney startups who are all trying to grow the market together. We all share this view of the changing face of financial services being driven by fintechs and fin services companies, but also around what is expected when it comes to sustainability and responsibility and behaviour. "So the education that we do is quite broad - we run sessions for millennials on learning how to manage their money within the new landscape of financial services, and with the help of technology. Also really importantly, the issues that are hitting the next generation – people living longer and changing jobs more often – they’re going to need to make their money last longer." Do you think that engaging your audience in things that fit with their values is a good way to help them learn about super and investing? "It makes it easier for us because essentially we feel like we’re creating a new narrative around investing. So we’re not talking about risk and loss and charts and graphs… we’re changing the narrative to say: find companies that you align with and you think are a good investment – and we’ll make it super easy for you to invest in them. "Where people are still struggling a little bit is that it’s still investing and it’s not charity – so there’s always going to be a psychological hurdle to get over, particularly when people first start. One of the things we’ve done in the first version of our product is you can’t actually buy and sell shares, it’s research only and it’s virtual trading. 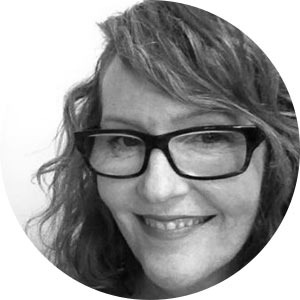 "We did that specifically because we wanted to have a bit of a softly-softly approach and help people ease their way in, without necessarily risking everything." What do you think the ethical/responsible/sustainable investing landscape will look like in five to 10 years, and where is Goodments heading? "If we broaden sustainability into “values-based investing” so people are truly investing in what they care about, then that will be the main way people invest in five to 10 years. It’s as simple as that. Sustainability is the first step to this, though people will always have different and personal views of what that is, and what aspects truly matter to them."